The Preble County Pork festival is packed with things to do and see, and the food is always out-of-sight awesome! Preble County Great American Pork Festival - Food, food and more food! 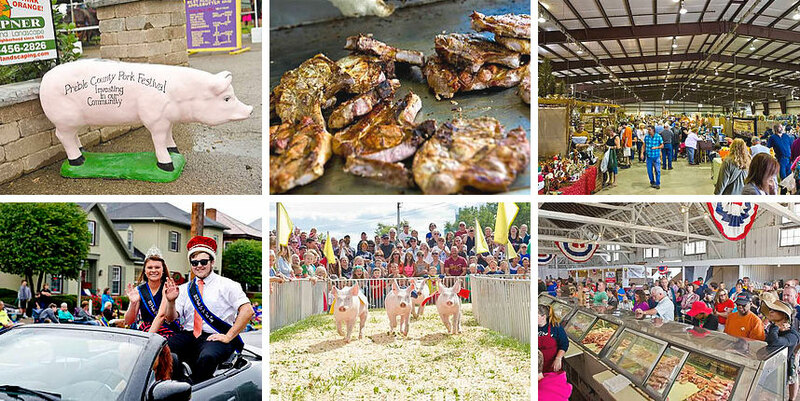 The Great American Pork Festival at the Preble County Fairgrounds is chock full of things to do, delicious food to eat, and fun for the entire family. Pig out with the best pork chops, pulled pork, ham sandwiches or breakfast pancakes and sausage in the region. And the racing pigs are back! FREE Admission! FREE Parking! Always the Third Full Weekend of September! Find more events like "Preble County Pork Festival"
Preble County is located in rural Southwestern Ohio.